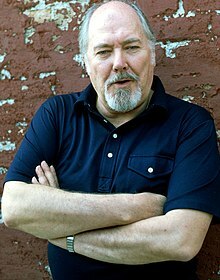 For other people named Robert Altman, see Robert Altman (disambiguation). Robert Bernard Altman (/ˈɔːltmən/; February 20, 1925 – November 20, 2006) was an American film director, screenwriter, and producer. A five-time nominee of the Academy Award for Best Director and an enduring figure from the New Hollywood era, Altman was considered a "maverick" in making films with a highly naturalistic but stylized and satirical aesthetic, unlike most Hollywood films. He is consistently ranked as one of the greatest and most influential filmmakers in American cinema. He preferred large ensemble casts for his films, and developed a multitrack recording technique which produced overlapping dialogue from multiple actors. This produced a more natural, more dynamic, and more complex experience for the viewer. He also used highly mobile camera work and zoom lenses to enhance the activity taking place on the screen. Critic Pauline Kael, writing about his directing style, said that Altman could "make film fireworks out of next to nothing." In 2006, the Academy of Motion Picture Arts and Sciences recognized Altman's body of work with an Academy Honorary Award. He never won a competitive Oscar despite seven nominations. His films MASH (1970), McCabe & Mrs. Miller (1971), and Nashville (1975) have been selected for preservation in the United States National Film Registry. Altman is one of the few filmmakers whose films have won the Golden Bear at Berlin, the Golden Lion at Venice, and the Golden Palm at Cannes. Altman was born on February 20, 1925, in Kansas City, Missouri, the son of Helen (née Matthews), a Mayflower descendant from Nebraska, and Bernard Clement Altman, a wealthy insurance salesman and amateur gambler, who came from an upper-class family. Altman's ancestry was German, English and Irish; his paternal grandfather, Frank Altman, Sr., anglicized the spelling of the family name from "Altmann" to "Altman". Altman had a Catholic upbringing, but he did not continue to follow or practise the religion as an adult, although he has been referred to as "a sort of Catholic" and a Catholic director. He was educated at Jesuit schools, including Rockhurst High School, in Kansas City. He graduated from Wentworth Military Academy in Lexington, Missouri in 1943. In 1943 Altman joined the United States Army Air Forces at the age of 18. During World War II, Altman flew more than 50 bombing missions as a crewman on a B-24 Liberator with the 307th Bomb Group in Borneo and the Dutch East Indies. Upon his discharge in 1946, Altman moved to California. He worked in publicity for a company that had invented a tattooing machine to identify dogs. He entered filmmaking on a whim, selling a script to RKO for the 1948 picture Bodyguard, which he co-wrote with George W. George. Altman's immediate success encouraged him to move to New York City, where he attempted to forge a career as a writer. Having enjoyed little success, in 1949 he returned to Kansas City, where he accepted a job as a director and writer of industrial films for the Calvin Company. In February 2012, an early Calvin film directed by Altman, Modern Football (1951), was found by filmmaker Gary Huggins. Altman directed some 65 industrial films and documentaries before being hired by a local businessman in 1956 to write and direct a feature film in Kansas City on juvenile delinquency. The film, titled The Delinquents, made for $60,000, was purchased by United Artists for $150,000, and released in 1957. While primitive, this teen exploitation film contained the foundations of Altman's later work in its use of casual, naturalistic dialogue. With its success, Altman moved from Kansas City to California for the last time. He co-directed The James Dean Story (1957), a documentary rushed into theaters to capitalize on the actor's recent death and marketed to his emerging cult following. Altman's first forays into TV directing were on the DuMont drama series Pulse of the City (1953–1954), and an episode of the 1956 western series The Sheriff of Cochise. After Alfred Hitchcock saw Altman's early features The Delinquents and The James Dean Story, he hired him as a director for his CBS anthology series Alfred Hitchcock Presents. After just two episodes, Altman resigned due to differences with a producer, but this exposure enabled him to forge a successful TV career. Over the next decade Altman worked prolifically in television (and almost exclusively in series dramas) directing multiple episodes of Whirlybirds, The Millionaire, U.S. Marshal, The Troubleshooters, The Roaring 20s, Bonanza, Bus Stop, Kraft Mystery Theater, Combat!, as well as single episodes of several other notable series including Hawaiian Eye, Maverick (the fourth season episode "Bolt From the Blue" also written by Altman and starring Roger Moore), Lawman, Surfside 6, Peter Gunn, and Route 66. Through this early work on industrial films and TV series, Altman experimented with narrative technique and developed his characteristic use of overlapping dialogue. He also learned to work quickly and efficiently on a limited budget. During his TV period, though frequently fired for refusing to conform to network mandates, as well as insisting on expressing political subtexts and antiwar sentiments during the Vietnam years, Altman always was able to gain assignments. In 1964, the producers decided to expand "Once Upon a Savage Night", one of his episodes of Kraft Suspense Theatre, for theatrical release under the name, Nightmare in Chicago. Two years later, Altman was hired to direct the low-budget space travel feature Countdown, but was fired within days of the project's conclusion because he had refused to edit the film to a manageable length. He did not direct another film until That Cold Day in the Park (1969), which was a critical and box-office disaster. In 1969, Altman was offered the script for MASH, an adaptation of a little-known Korean War-era novel satirizing life in the armed services; more than a dozen other filmmakers had passed on it. Altman had been hesitant to take the production, and the shoot was so tumultuous that Elliott Gould and Donald Sutherland tried to have Altman fired over his unorthodox filming methods. Nevertheless, MASH was widely hailed as an immediate classic upon its 1970 release. It won the Palme d'Or at the 1970 Cannes Film Festival and netted five Academy Award nominations. It was Altman's highest-grossing film, released during a time of increasing anti-war sentiment in the United States. The Academy Film Archive preserved MASH in 2000. Now recognized as a major talent, Altman notched critical successes with McCabe & Mrs. Miller (1971), a Revisionist Western in which the mordant songs of Leonard Cohen underscore a gritty vision of the American frontier; The Long Goodbye (1973), a controversial adaptation of the Raymond Chandler novel (scripted by Leigh Brackett) now ranked as a seminal influence on the neo-noir subgenre; Thieves Like Us (1974), an adaptation of the Edward Anderson novel previously filmed by Nicholas Ray as They Live by Night (1949); California Split (1974), a gambling comedy-drama; and Nashville (1975), which had a strong political theme set against the world of country music. The stars of the film wrote their own songs; Keith Carradine won an Academy Award for the song "I'm Easy". Although his films were often met with divisive notices, many of the prominent film critics of the era (including Pauline Kael, Vincent Canby and Roger Ebert) remained steadfastly loyal to his oeuvre throughout the decade. Audiences took some time to appreciate his films, and he did not want to have to satisfy studio officials. In 1970, following the release of MASH, he founded Lion's Gate Films to have independent production freedom. Altman's company is not to be confused with the current Lionsgate, a Canada/U.S. entertainment company. The films he made through his company included Brewster McCloud, A Wedding, 3 Women, and Quintet. In 1980, he directed the musical film Popeye. Produced by Robert Evans and written by Jules Feiffer, the film was based on the comic strip/cartoon of the same name and starred the comedian Robin Williams in his film debut. Designed as a vehicle to increase Altman's commercial clout following a series of critically acclaimed but commercially unsuccessful low-budget films in the late 1970s (including 3 Women, A Wedding and Quintet), the production was filmed on location in Malta. It was soon beleaguered by heavy drug and alcohol use among most of the cast and crew, including the director; Altman reportedly clashed with Evans, Williams (who threatened to leave the film) and songwriter Harry Nilsson (who departed midway through the shoot, leaving Van Dyke Parks to finish the orchestrations). Although the film grossed $60 million worldwide on a $20 million budget and was the second highest-grossing film Altman had directed to that point, it failed to meet studio expectations and was considered a box office disappointment. In 1981, the director sold Lion's Gate to producer Jonathan Taplin after his political satire Health (shot in early 1979 for a Christmas release) was shelved by longtime distributor 20th Century Fox following tepid test and festival screenings throughout 1980. The departure of longtime Altman partisan Alan Ladd, Jr. from Fox also played a decisive role in forestalling the release of the film. In 1982, Altman staged a production of Igor Stravinsky's The Rake’s Progress at the University of Michigan, where he concurrently taught a course on his films. Shortly thereafter, he returned to film Secret Honor with students. In 2008, the University of Michigan Library acquired Altman's archive. He also co-wrote John Anderson's 1983 hit single "Black Sheep". The teen comedy O.C. and Stiggs (1985), an abortive return to Hollywood filmmaking retrospectively characterized by the British Film Institute as "probably Altman's least successful film", received a belated limited commercial release in 1987 after being shelved by MGM. Adapted by Altman and Sam Shepard from the latter's Pulitzer Prize-nominated 1983 play for The Cannon Group, Fool for Love (1985) featured the playwright-actor alongside Kim Basinger, Harry Dean Stanton and Randy Quaid; it fared better than most of his films from the era, earning $900,000 domestically on a $2 million budget and positive reviews from Roger Ebert and Vincent Canby. Still, widespread popularity with audiences continued to elude him. He regained a modicum of critical favor for his television mockumentary Tanner '88 (1988), a collaboration with Garry Trudeau set in the milieu of a United States presidential campaign, for which he earned a Primetime Emmy Award. In 1990, Altman directed Vincent & Theo, a biopic about Vincent van Gogh that was intended as a television miniseries for broadcast in the United Kingdom. A theatrical version of the film was a modest success in the United States, marking a significant turning point in the director's critical resurgence. He revitalized his career in earnest with The Player (1992), a satire of Hollywood. Co-produced by the influential David Brown (The Sting, Jaws, Cocoon), the film was nominated for three Academy Awards, including Best Director. While he did not win the Oscar, he was awarded Best Director by the Cannes Film Festival, BAFTA, and the New York Film Critics Circle. Altman then directed Short Cuts (1993), an ambitious adaptation of several short stories by Raymond Carver, which portrayed the lives of various citizens of Los Angeles over the course of several days. The film's large cast and intertwining of many different storylines were similar to his large-cast films of the 1970s; he won the Golden Lion at the 1993 Venice International Film Festival and another Oscar nomination for Best Director. In 1996, Altman directed Kansas City, expressing his love of 1930s jazz through a complicated kidnapping story. He was elected a Fellow of the American Academy of Arts and Sciences in 1999. Gosford Park (2001), a large-cast, British country house murder mystery, was included on many critics' lists of the ten best films of that year. It won the Academy Award for Best Original Screenplay (Julian Fellowes) plus six more nominations, including two for Altman, as Best Director and Best Picture. Working with independent studios such as the now-shuttered Fine Line, Artisan (which was absorbed into today's Lionsgate), and USA Films (now Focus Features), gave Altman the edge in making the kinds of films he always wanted to make without studio interference. A film version of Garrison Keillor's public radio series A Prairie Home Companion was released in June 2006. 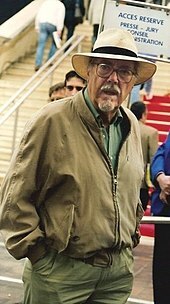 Altman was still developing new projects up until his death, including a film based on Hands on a Hard Body: The Documentary (1997). In 2006, the Academy of Motion Picture Arts and Sciences awarded Altman an Academy Honorary Award for Lifetime Achievement. During his acceptance speech, he revealed that he had received a heart transplant approximately ten or eleven years earlier. The director then quipped that perhaps the Academy had acted prematurely in recognizing the body of his work, as he felt like he might have four more decades of life ahead of him. Altman was married three times. His first wife was LaVonne Elmer. They were married from 1947 to 1949, and had a daughter, Christine. His second wife was Lotus Corelli. They were married from 1950 to 1955, and had two sons, Michael and Stephen. At fourteen Michael wrote the lyrics to "Suicide Is Painless", the theme song to Altman's movie, MASH. His son Steven is a production designer who often worked with his father. His third wife was Kathryn Reed. They were married from 1957 until his death in 2006. They had two sons, Robert and Matthew. Altman became the stepfather to Konni Reed when he married Kathryn. In the 1960s, Altman lived for years in Mandeville Canyon in Brentwood, California. He resided in Malibu throughout the 1970s, but sold that home and the Lion's Gate production company in 1981. "I had no choice", he told the New York Times. "Nobody was answering the phone" after the flop of Popeye. He moved his family and business headquarters to New York City, but eventually moved back to Malibu, where he lived until his death. Altman despised the phenomenally popular television series MASH which followed his popular 1970 film, citing it as being the antithesis of what his movie was about, and citing its anti-war messages as being "racist." In the 2001 DVD commentary for MASH, he stated clearly the reasons for which he disapproved of the series. Altman died on November 20, 2006, at age 81 at Cedars-Sinai Medical Center in Los Angeles. According to his production company in New York, Sandcastle 5 Productions, he died of complications from leukemia. The film director Paul Thomas Anderson dedicated his 2007 film There Will Be Blood to Altman. Anderson had worked as a standby director on A Prairie Home Companion for insurance purposes, in the event the ailing 80-year-old Altman was unable to finish shooting. During a celebration tribute to Altman a few months after his death, he was described as a "passionate filmmaker" and auteur who rejected convention, creating what director Alan Rudolph called an "Altmanesque" style of films. He preferred large casts of actors, natural overlapping conversations, and encouraged his actors to improvise and express their innate creativity, but without fear of failing. Lily Tomlin compared him to "a great benign patriarch who was always looking out for you as an actor," adding that "you're not afraid to take chances with him." Altman's personal archives are located at the University of Michigan, which include about 900 boxes of personal papers, scripts, legal, business and financial records, photographs, props and related material. Altman had filmed Secret Honor at the university, as well as directed several operas there. Since 2009, the Robert Altman Award is awarded to the director, casting director, and ensemble cast of films at the yearly Independent Spirit Awards. 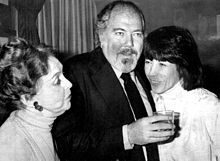 "Altman was a genuine movie maverick," states author Ian Freer, because he went against the commercial conformity of the movie industry: "He was the scourge of the film establishment, and his work generally cast an astute, scathing eye over the breadth of American culture, often exploding genres and character archetypes; Altman was fascinated by people with imperfections, people as they really are, not as the movies would have you believe." Director Alan Rudolph, during a special tribute to Altman, refers to his moviemaking style as "Altmanesque." I had just finished filming Last of the Red Hot Lovers when Bob called me one day at home. "Sally, do you want to be in my picture after next?" he asked. "Only if it's a good part," I said. He hung up on me. Similarly, Altman also blames the failure of O.C. & Stiggs on its being marketed as a typical "teenage movie," rather than what he filmed it as, a "satire of a teenage movie," he said. Altman favored stories expressing the interrelationships among several characters, being more interested in character motivation than in intricate plots. He therefore tended to sketch out only a basic plot for the film, referring to the screenplay as a "blueprint" for action. By encouraging his actors to improvise dialogue, Altman thus became known as an "actor's director," a reputation that attracted many notable actors to work as part of his large casts. Performers enjoy working with Altman in part because "he provides them with the freedom to develop their characters and often alter the script through improvisation and collaboration," notes Derry. Richard Baskin says that "Bob was rather extraordinary in his way of letting people do what they did. He trusted you to do what you did and therefore you would kill for him." Patricia Resnick often wrote his screenplays. Altman first used overlapping soundtracks in MASH (1970), a sound technique which movie author Michael Barson describes as "a breathtaking innovation at the time." He developed it, Altman said, to force viewers to pay attention and become engaged in the film as if they were an active participant. According to some critics, one of the more extreme uses of the technique is in McCabe and Mrs. Miller (1971), also considered among his finest films. Thomson later recognized those aspects as being part of Altman's style, beginning with MASH (1970): "MASH began to develop the crucial Altman style of overlapping, blurred sound and images so slippery with zoom that there was no sense of composition. That is what makes Nashville so absorbing." Altman explained that to him such overlapping dialogue in his films was closer to reality, especially with large groups: "If you've got fourteen people at a dinner table, it seems to me it's pretty unlikely that only two of them are going to be talking." Pauline Kael writes that Altman, "the master of large ensembles, loose action, and overlapping voices, demonstrates that . . . he can make film fireworks out of next to nothing." Altman's distinctive style of directing carried over into his preferences for camerawork. Among them was his use of widescreen compositions, intended to capture the many people or activities taking place on screen at the same time. For some films, such as McCabe and Mrs. Miller, he created a powerful visual atmosphere with cinematographer Vilmos Zsigmond, such as scenes using fluid camerawork, zoom lenses, and a smoky effect using special fog filters. Director Stanley Kubrick told Altman that "the camerawork was wonderful," and asked, "How did you do it?" In Nashville, Altman used sets with noticeable colors of reds, whites and blues. For The Long Goodbye, he insisted that Zsigmond keep the camera mobile by mounting it to moving objects. Zsigmond states that Altman "wanted to do something different" in this film, and told him he "wanted the camera to move—all the time. Up. down. In and out. Side to side." Cinematographer Roger Deakins, discussing his use of zoom lenses, commented, "I would find it quite exciting to shoot a film with a zoom lens if it was that observational, roving kind of look that Robert Altman was known for. He'd put the camera on a jib arm and float across the scene and pick out these shots as he went along – quite a nice way of working." Vilmos Zsigmond's cinematography in McCabe and Mrs. Miller received a nomination by the British Academy Film Awards. When using music in his films, Altman was known to be highly selective, often choosing music that he personally liked. Director Paul Thomas Anderson, who worked with him, notes that "Altman's use of music is always important," adding, "Bob loved his music, didn't he? My God, he loved his music". Since he was a "great fan" of Leonard Cohen's music, for example, saying he would "just get stoned and play that stuff" all the time he used three of his songs in McCabe and Mrs. Miller (1971), and another for the final scene in A Wedding (1978). For Nashville (1975), Altman had numerous new country music songs written by his cast to create a realistic atmosphere. He incorporated a "hauntingly repeated melody" in The Long Goodbye (1973), and employed Harry Nilsson and Van Dyke Parks to score Popeye (1980). A number of music experts have written about Altman's use of music, including Richard R. Ness, who wrote about the scores for many of Altman's films in an article, considered to be a valuable resource for understanding Altman's filmmaking technique. Similarly, cinema studies professor Krin Gabbard wrote an analysis of Altman's use of Jazz music in Short Cuts (1993), noting that few critics have considered the "importance of the music" in the film. Jazz was also significant in Kansas City (1996). In that film, the music is considered to be the basis of the story. Altman states that "the whole idea was not to be too specific about the story," but to have the film itself be "rather a sort of jazz." Altman's technique of making the theme of a film a form of music, was considered "an experiment nobody has tried before," with Altman admitting it was risky. "I didn't know if it would work. . . . If people 'get it,' then they really tend to like it." Vincent & Theo (1990) – British miniseries in 4 parts, later released in edited form worldwide as feature film. Black and Blue (1993) – a Primetime Emmy Award-nominated filmed play which aired on PBS' "Great Performances"
^ Lemons, Stephen. 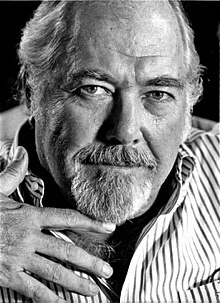 "Robert Altman". Salon.com. p. 2. Archived from the original on December 8, 2006. Retrieved November 22, 2006. ^ a b The Daily Telegraph (November 22, 2006). "Robert Altman, 81, Mercurial Director of Masterworks and Flops". The New York Sun. Retrieved November 22, 2006. ^ a b "The Religious Affiliation of Robert Altman". Adherents.com. July 28, 2005. Retrieved November 22, 2006. ^ "Spotlight: Catholics at the Movies". Catholichistory.net. Retrieved August 24, 2014. ^ Butler, Robert W. (March 5, 2006). "Finally, An Attitude Adjustment: Hollywood's Establishment Now Embraces Rebel Director Altman". The Kansas City Star. p. 5. ^ "Famous B-24/PB4Y Crew Members". B-24 Best Web. 2011. Retrieved July 25, 2011. ^ "Fan uncovers Robert Altman's first film". Content.usatoday.com. March 14, 2012. Retrieved August 24, 2014. ^ "Robert Altman's Lost Classic: 'Modern Football'". Forbes. March 13, 2012. Retrieved August 24, 2014. ^ "Nashville Director Robert Altman Dies". Country Music Television. November 21, 2006. Retrieved November 5, 2014. ^ Murray, Noel (March 30, 2015). "Vincent & Theo". The Dissolve. Archived from the original on April 7, 2016. When The Player came out in 1992, it was greeted as a welcome comeback for director Robert Altman, who spent much of the previous decade working small—making filmed plays instead of the ambitious, character-heavy genre reinventions he’d been known for in the 1970s. But Altman actually reclaimed his critics’ darling status two years earlier with Vincent & Theo, a luminous biopic about painter Vincent Van Gogh (played by Tim Roth) and his art-dealer brother (Paul Rhys). ^ "Book of Members, 1780–2010: Chapter A" (PDF). American Academy of Arts and Sciences. Retrieved April 15, 2011. ^ "Robert Altman Has A Hard Body". Empire. ^ "Robert Altman". Find A Grave. Retrieved September 29, 2012. ^ Lyman, Rick (November 21, 2006). "Robert Altman, Iconoclastic Director, Dies at 81". The New York Times. Retrieved October 24, 2018. ^ "Director Robert Altman dies at 81 – More news and other features – MSNBC.com". MSNBC. November 22, 2006. Retrieved September 17, 2011. ^ Altman, Kathryn Reed; Vallan, Giulia d'Agnolo (2014). Altman. Martin Scorsese (introduction). Harry N. Abrams. ISBN 978-1419707773. ^ Weber, Bruce (March 18, 2016). "Kathryn Reed Altman, Film Director's Widow and Archivist, Dies at 91". The New York Times. ^ Suzie Mackenzie (May 1, 2004). "Still up to mischief (Suzie Mackenzie interviewing Altman)". The Guardian. Retrieved May 1, 2013. Still, it's worth noting that by the age of 20 this whistle- blower had resisted two of the most powerful institutions – church and army, both. He is an atheist, "And I have been against all of these wars ever since." ^ "NORML Advisory Board – NORML". Norml.org. Retrieved September 17, 2011. ^ "Krin Gabbard: Stony Brook University". Stonybrook.edu. Archived from the original on August 19, 2014. Retrieved August 24, 2014. ^ "Berlinale 1976: Prize Winners". berlinale.de. Retrieved July 16, 2010. ^ "Berlinale: 1999 Programme". berlinale.de. Retrieved January 29, 2012. Judith M. Kass. Robert Altman: American Innovator early (1978) assessment of the director's work and his interest in gambling. Part of Leonard Maltin's Popular Library filmmaker series. The English band Maxïmo Park have a song named "Robert Altman", a b-side to their single "Our Velocity"
Description and details on the Short Cuts Soundtrack for more in-depth information about this title. 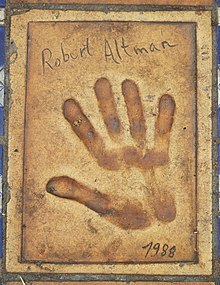 Wikimedia Commons has media related to Robert Altman. Listen to Robert Altman discussing his career – a British Library recording. Robert Altman receiving the Academy Honorary Award in 2006 on YouTube, 11 min. Documentary: Robert Altman in England on YouTube, 60 min.